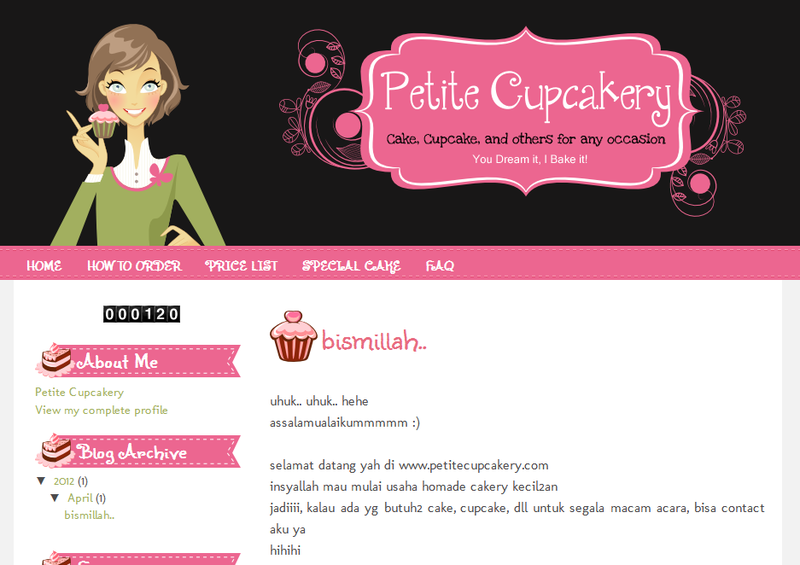 Hi, this is the latest custom bloger template for petitecupcakery.com , a blog offers cake and cupcake order service. She wants a cute and simple blog template dominated by black and pink color. So I choose this not so black color combined with soft pink color. A simple elegant logo of petitecupcakery.com mixed with a cute woman with her cupcake represent the owner. This cupcake theme detailed with post title background, sidebar title background, favicon, and custom font. What do you think? I think it's gorgeous as always..
ini gag bisa di download ya? caranya aktifin templete ini di blog saya? ko template ini ga bisa di download ya?